Organic Horn Plug with a Skull over a Red Star Picture Insert. Comes in two sizes. 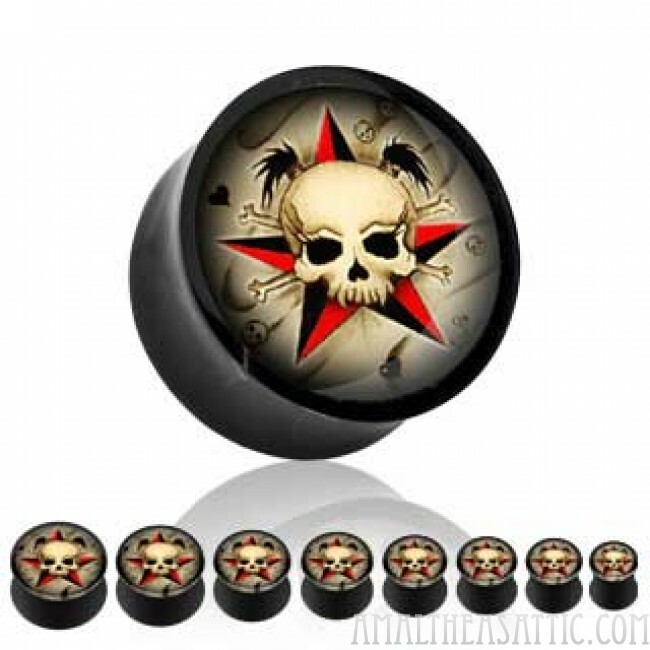 Organic Horn Plug with a Skull over a Red Nauticle Star Picture Insert. Comes in two sizes.